Aero VIP (Portugal) (Cascais) has successfully integrated the 7 Air Group, becoming part of one of the biggest aeronautical groups in Portugal. 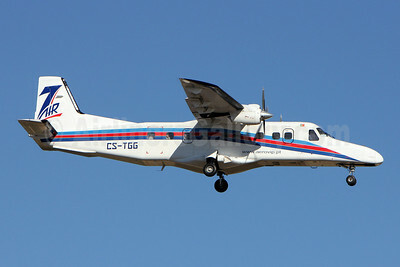 The charter airline is now operating under the 7 Air brand as pictured on this Dornier 228-202 CS-TGG (msn 8160) seen landing at Lisbon. 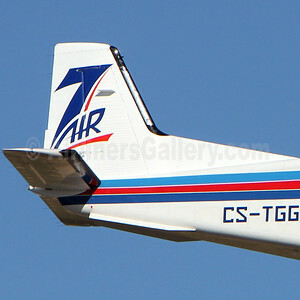 This entry was posted in 7 Air Group, Aero VIP (Portugal) and tagged 228, 228200, 228202, 7 Air Group, 8160, Aero VIP, Aero VIP (Portugal), aviation, charter airline, CSTGG, Dornier, Dornier 228, Dornier 228200, Dornier 228202, LIS, Lisbon, transportation on July 14, 2012 by Bruce Drum.